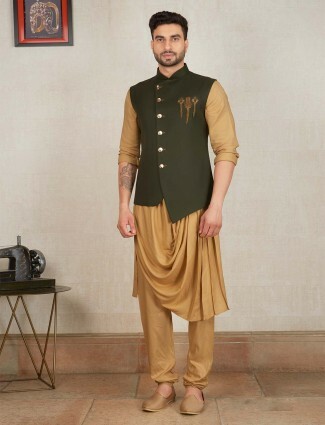 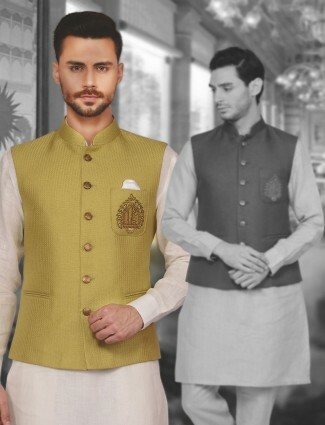 Amazing look in party function with wear this olive color raw silk fabric waistcoat set. 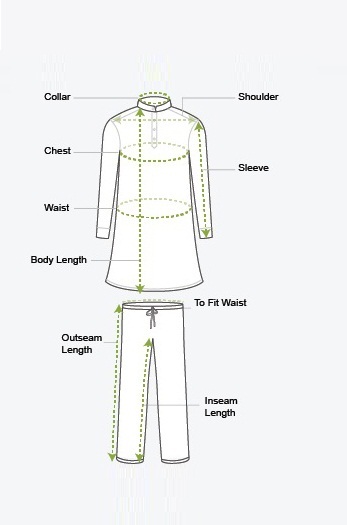 It has solid, stand collar, sleeveless pattern and vented hem. 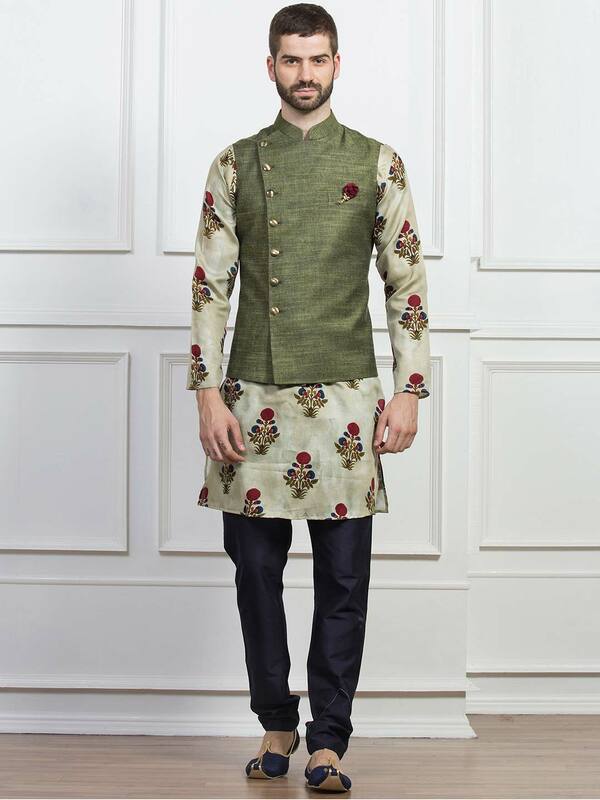 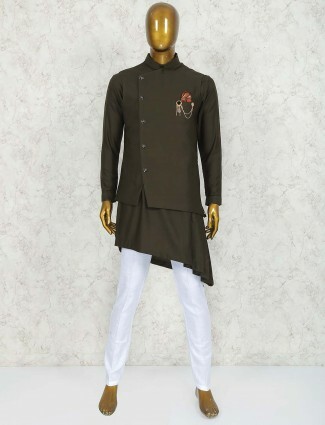 Comes with printed pattern silk kurta suit.